Part of the Brazil by OPI collection was 4 mini OPI Liquid Sand polishes. They're GORGEOUS. 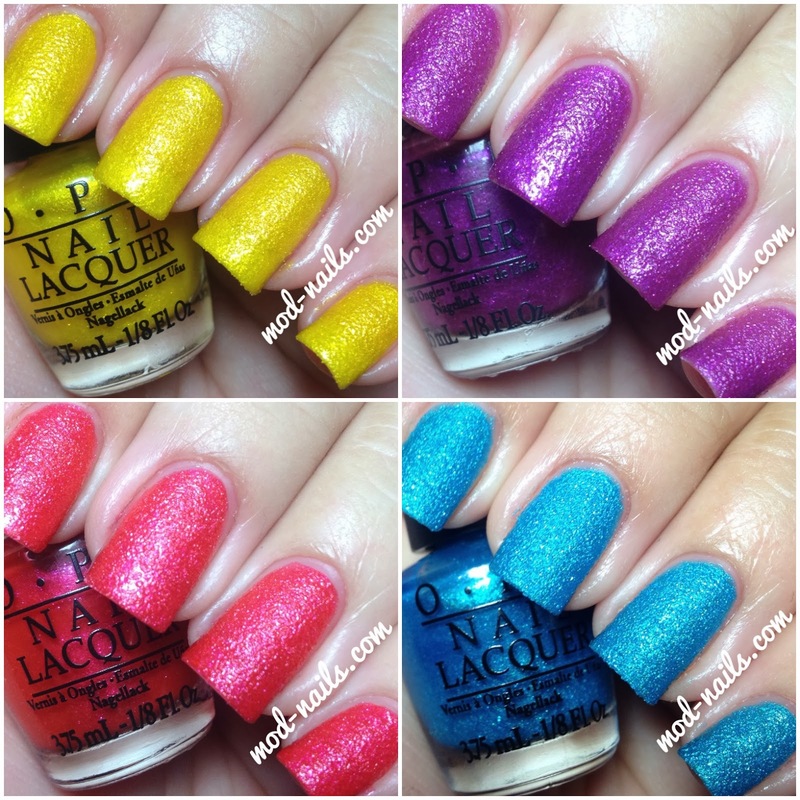 Brazil by OPI including these four liquid sand polishes are available at HB Beauty Bar. You get these four mini polishes for just $11.95. Don't forget to use my code "MODNAILS" at checkout for 15% off! What's A Little Rain Forest? : My favorite out of the four. It's a gorgeous bright blue. This picture does not do it justice. As with all liquid sands you don't add top coat to get the textured effect. But when you add a topcoat you also get a gorgeous glitter. So for each liquid sand I have a picture of it without top coat and one with topcoat. Samba-dy Loves Purple: This bright liquid sand polish is gorgeous. It's a bright, summery purple. I'm Brazil Nuts Over You: This is a gorgeous pink textured polish. Bright and another must have for spring/summer. You're So Flippy Floppy: How can you not be happy just by looking at this polish? I'm not a fan of yellows but this yellow liquid sand polish is so pretty and fun. When OPI came out with their Liquid Sand polishes I wasn't really a fan. It wasn't until they brought bright colors that I started to appreciate them. And these Brazil by OPI Liquid Sand polishes exceeded my expectations. All four of them are so pretty. "What's A Little Rain Forest?" is my favorite with "Samba-dy Loves Purple" coming in a close second. 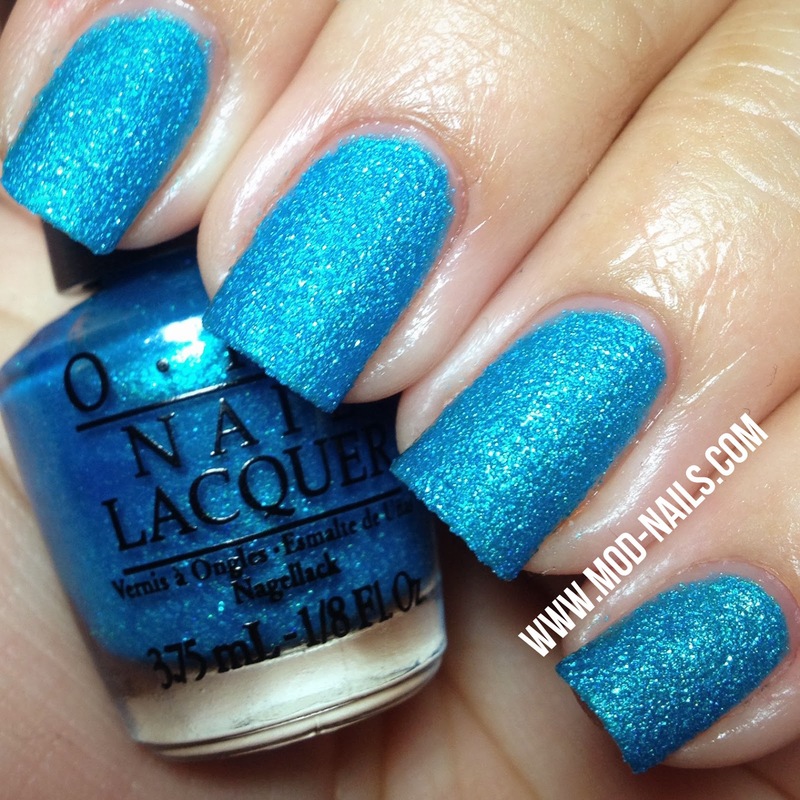 Brazil by OPI is now available at HB Beauty Bar! Use my code MODNAILS for 15% off!